From Paul, a servant of Christ Jesus and an apostle chosen and called by God to preach his Good News. "Do not think that have come to do away with the Law of Moses and the teachings of the prophets. I have not come to do away with them, but to make their teachings come true. 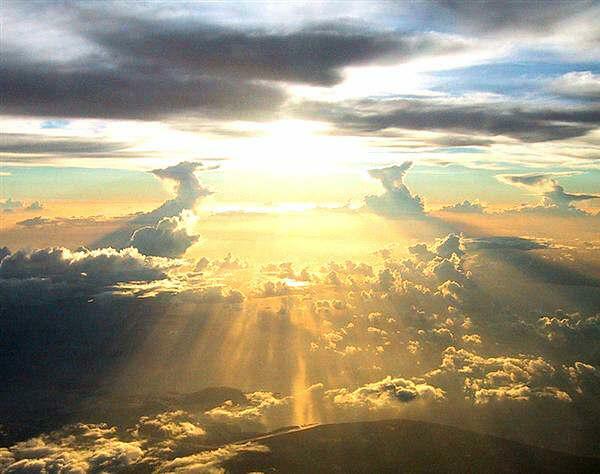 Remember that as long as heaven and earth last, not the least point nor the smallest detail of the low will be down away with not until the end of all things. 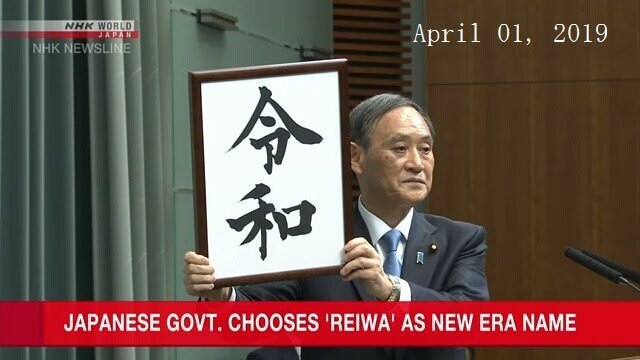 "Reiwa - 令和", Today, the Japanese government announced a "Japan's new era - 元号". This name is will be on the lips of most Japanese and it will be for years to come. It's the name the Japanese government has selected for the new era, which is set to start when Crown Prince Naruhito becomes the new Emperor on May 1. Japanese Chief Cabinet Secretary Yoshihide Suga said, "We will make efforts to make the new era name widely accepted and take deep root in the lives of the Japanese." It comes from a passage that can be translated as: "On a moon-lit night in early spring, the air is fresh and the wind is calm, the plum flowers are blooming like a beautiful woman applying white powder in front of the mirror, and the fragrance of the flowers are like that of robes scented with incense." It's the first time for the character "rei = 令" to be used in an era name. The second "wa = 和" has been used 19 times in past era names. Prime Minister Shinzo Abe explained to reporters the meaning and inspiration of the new era name. Abe said, "Culture is nurtured when people bring their hearts together in a beautiful way. "Reiwa" has such meaning." By taking the new name from ancient Japanese literature, he says he hopes the country's history, tradition, culture and nature will be handed down to generations to come. Tokyo's benchmark Nikkei Average saw its biggest fall of 2019. The drop followed a plunge on Friday on Wall Street that came amid new worries of an economic slowdown. 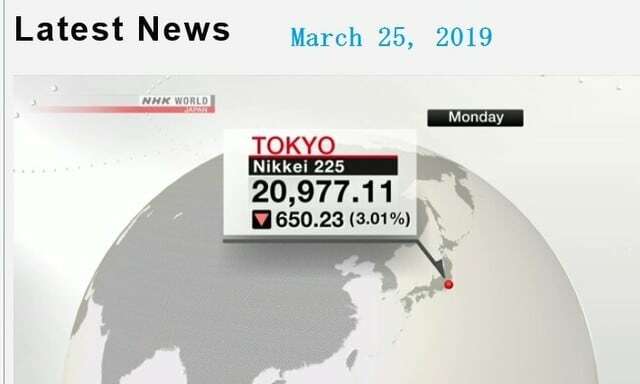 The Nikkei closed Monday's session at 20,977, down 650 points or 3 percent. The index finished below the 21,000-mark for the first time since mid-February. New York stocks fell on Friday on weak manufacturing data in Europe. Germany's PMI came in at its lowest level in over six years. The inversion of the yield curve also had investors selling. The yield on the 10-year US treasury note fell below the level of the 3-month treasury bill. Many see it as an indicator of a looming recession. US President Donald Trump has said that the United States and North Korea have a good relationship. He was speaking at the Conservative Political Action Conference, or CPAC, on Saturday near Washington. 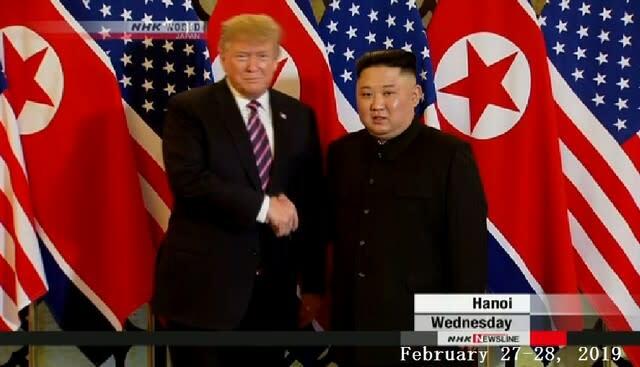 He spoke about the abrupt end of the recent summit with North Korean leader Kim Jong Un in Vietnam. 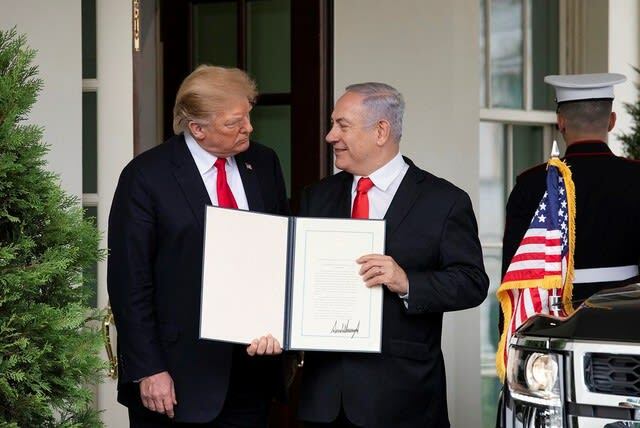 Trump said he cut short the negotiations because sometimes, "you have to walk." He added that North Korea launched missiles and conducted nuclear tests when President Barack Obama was in office. But Trump said that stopped when he became president. "North Korea has a brilliant economic future if they make a deal,"
Trump said "But they don't have any economic future if they have nuclear weapons." ※- 2019・EU young leader "Kurz Austria Prime Minister"
Austria：Prime Minister Kurtz visited Japan · "Fight for nuclear disarmament"